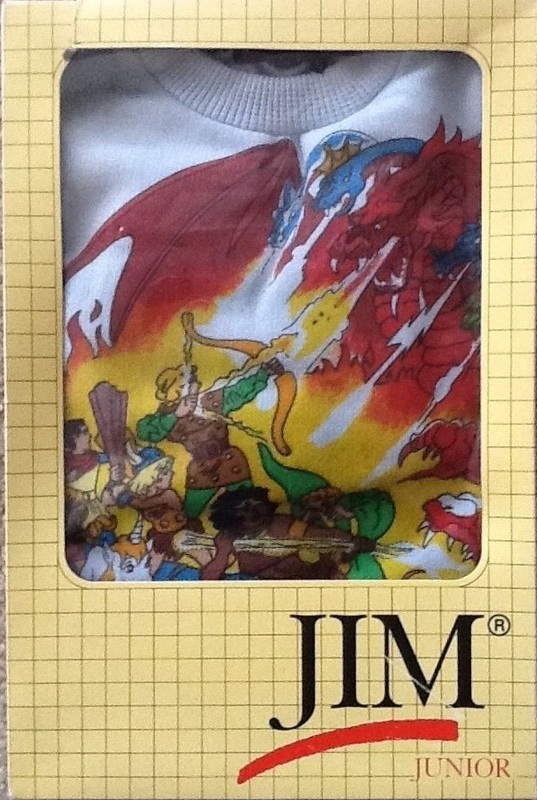 The Dungeons & Dragons animated series was released in Spain in 1985, and didn’t debut in France and the U.K. until 1987. Spain also released some rather strange PVC figures of all the major characters in the cartoon. 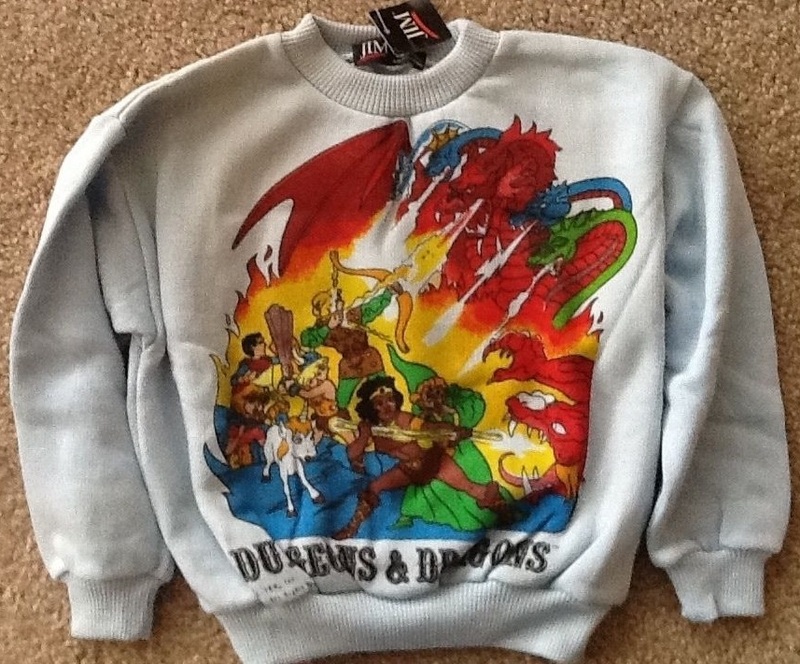 Has anyone else seen a D&D sweatsuit before? That baby unicorn is going to come in real handy against that 5 headed dragon. This adventure is over. Wow. That sweatshirt artwork is pretty bottom-of-the-barrel. As is licensing a sweatsuit. I really liked that cartoon. Characters voiced by Adam Rich, Willie Aames and Donnie Most. How can you go wrong? I’ve never seen merchandise for it.